It took me a long while to actually enjoy hiking. I’m originally from the MidWest, so I did not grow up hiking. 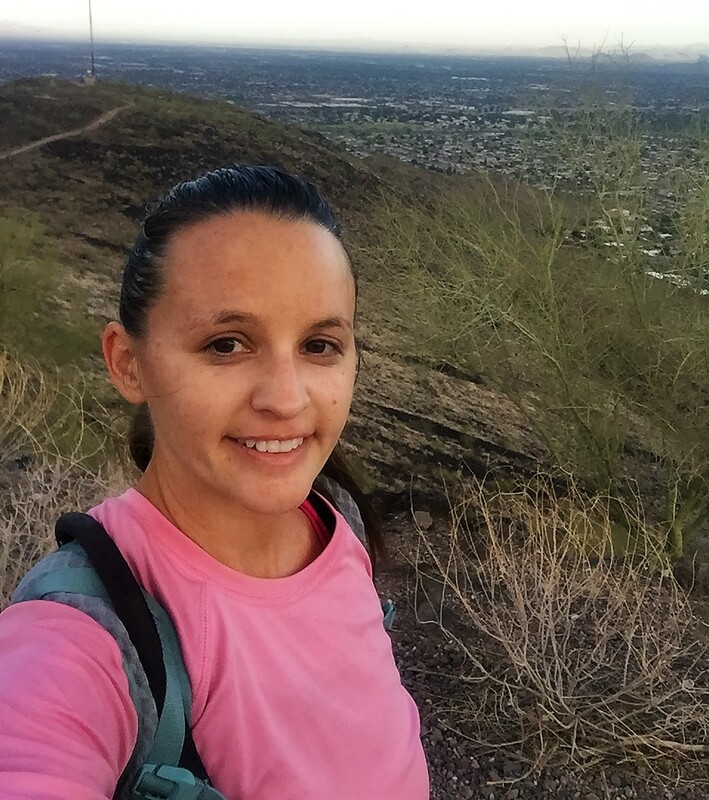 I went on my first hike, after moving to Phoenix. At first, I wasn’t a fan. Instead I liked the social aspect and the beer afterwards. But the actual hiking part…seemed to be a lot of hard work. But on New Years Eve of 2013 that all totally changed. On that day, I had to work and it was a really stressful day. A weird and strange urge to go hiking hit me. Like, you know that John Muir quote, “the mountains are calling and I must go”? Yea, that was literally happening to me. So I left work early and went hiking with my dog. This was my very first solo hike. Typically, I would’ve been nervous going by myself but the calling was that strong, that I just had to go. When I got to the end of the trail, I had realized something that would change me. I realized that throughout this hike up, I hadn’t given one thought about any of the things that were stressing me out. All I was doing on the hike was focusing on my next step and the nature around me. I was only focusing on the actual present moment. Because of this, I was able to just relax making this the first hike I actually enjoyed. This is the main reason why I hike. It brings me peace of mind, calms my brain down and is making me a stronger person, physically and mentally. The next day on New Years Day, when most people slept in all hungover, I woke up early and I hiked Kiwanis Trail by myself. It was the best hike ever. To feel the first sun beams of the New Year and being outside to witness it was a magical experience. These two hikes sent me on this path I’m on. I have no idea what will come of this website. But, my purpose is to inspire others to go outdoors and experience the magic of nature. It doesn’t matter how fast you hike. It doesn’t matter how many times you need to pull over for a break. The only thing that matters is that you go outdoors, shut off your brain and enjoy the present moment. I also want to make it easy for a beginner hiker to know what to expect on the trail. In the beginning I struggled to find a website for beginners and to describe the trail from a beginner’s point of view. So, instead I created one.